A lovely 68 pointer emerald cut sapphire. I liked this sapphire as it almost seems to have a metallic luster to it. 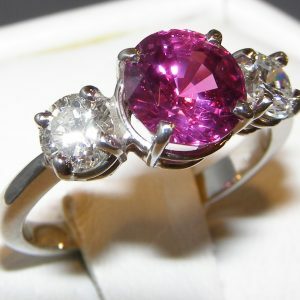 It’s a well cut stone with a nice pop to its pink color. Sounds strange to say but love the warmth of this stone.